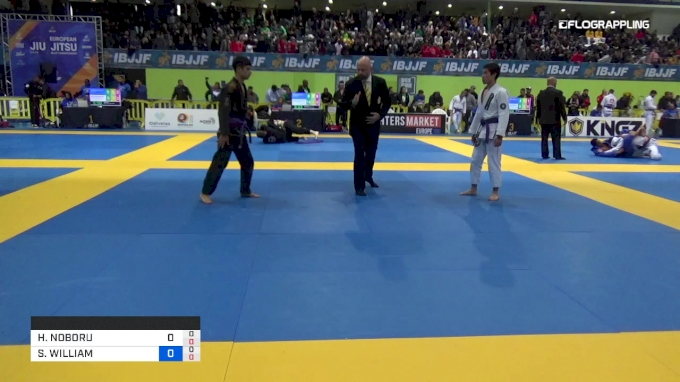 A pair of Brazilian-Japanese twins by the name of Hiago Ueno (above left) and Thiago Ueno (above right) closed out the final of the roosterweight division at the 2019 IBJJF European Championships. The 21-year-old brothers hail from the city of Yokkaichi, near Nagoya in Japan, some 200+ miles from Tokyo. Training out of Tree Brazilian Jiu-Jitsu, they've dominated everything on the Asian circuit, winning the Asian Open, Bull Terrier Cup and UAEJJF Grand Slam Tokyo. And now they took their winning ways to the IBJJF European Championships, their first as purple belts. Later this year they plan to compete at both the UAEJJF Abu Dhabi World Pro and the IBJJF World Championships. Keep an eye out for them this year to see if they can repeat the feat! 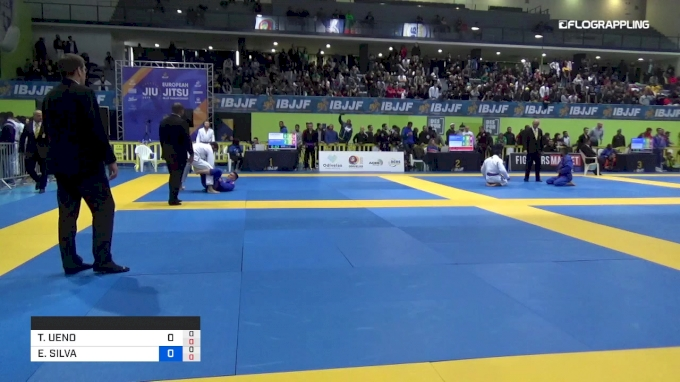 Day one of the black belts at the Abu Dhabi World Pro saw the best of Brazil compete against each other to represent their country in the main brackets. There is a limit of two competitors per country in each weight division at the Abu Dhabi World Pro. The top-ranked competitor gets placed in the bracket, while the second spot is fought for by all other competitors of the same nationality in a qualifying "Country Bracket". The 2019 Abu Dhabi World Pro kicks into full swing on April 24, and some of the most compelling matchups are certain to go down in the stacked women's divisions.